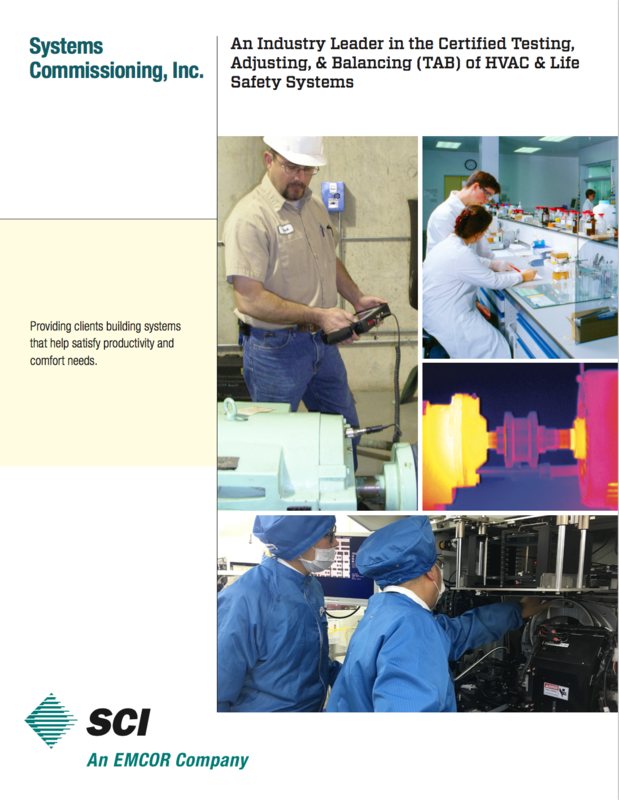 Systems Commissioning, Inc. (SCI), a Gowan subsidiary, is an industry leader in certified testing, adjusting, balancing, and repairing HVAC environmental, life safety and other building systems. Supervision and Engineering Support - In the field, all work is accomplished under strict engineering supervision and established certified procedures and standards are followed. Professional Service with Integrity - We accept the relationship of trust and confidence established between the owner and us. We agree to use our best efforts to furnish at all times an adequate supply of workers and materials, and to perform the work in the best, most expeditious, economical manner. Experience You Can Count On - We have long-standing relationships with major architects, general contractors, builders and developers who operate on a national scale. We also maintain a long standing relationship with owners of commercial, institutional, industrial and medical facilities with operations in multiple cities. We have specific knowledge of continually changing codes and their requirements in many different cities. Technical Expertise - We have a thorough knowledge of all HVAC components and have executed certified performance and capacity tests on cooling towers, water chillers, air handling units, domestic water, and other equipment. We also have extensive experience with HVAC fire life safety and smoke control systems to include stair pressurization systems. Extensive Preparation - All control sequences are reviewed by our engineering certified professional supervisors and technicians to understand each component and its function. Reliable Reporting Procedures - All information compiled during testing is subjected to careful review and crosschecking by a NEBB or TABB certified professional to ensure that it is consistent and correct. We also work closely with government, state, and local agencies and accreditation authorities to help ensure that lessons learned in today's environment are incorporated into tomorrow's building and life safety codes and standards. The result is systems that support your business instead of draining your bottom line.